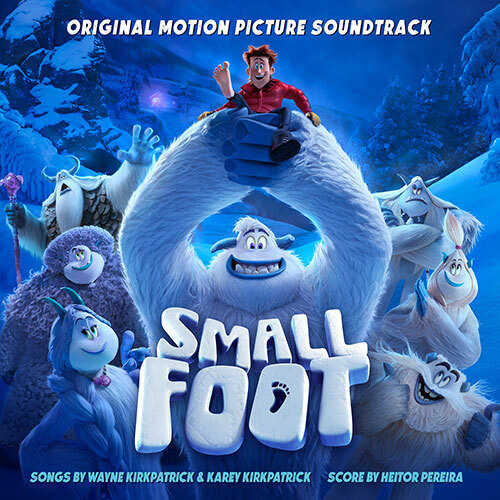 The cast & crew of SMALLFOOT, Niki Sherrod, Steve Gizicki, Brian Lambert, Paul Broucek, Bonne Radford, John Requa, Glenn Ficarra, Allison Abbate, Courtenay Valenti and Toby Emmerich. Thanks Heitor, Slamm, Nick, Gregg, Gustavo, singers and players for the beautiful sounds. Special thanks to our families for their patience; Nada, Sami, Maia and Finn, Fran, Kourtney, Chase, Shelby, Trevor and Carson. And Mom and Dad for having us. Karey Kirkpatrick, Wayne Kirkpatrick, Bonne Radford, Niki Sherrod, Steve Gizicki, Laura Engel, Richard Kraft, Hans Zimmer, Steve Kofsky, and all the musicians that participated. Special thanks to my beautiful family: Helena, Flora, and Felipe, to Slamm Andrews, and to my team at Backyard Industries.